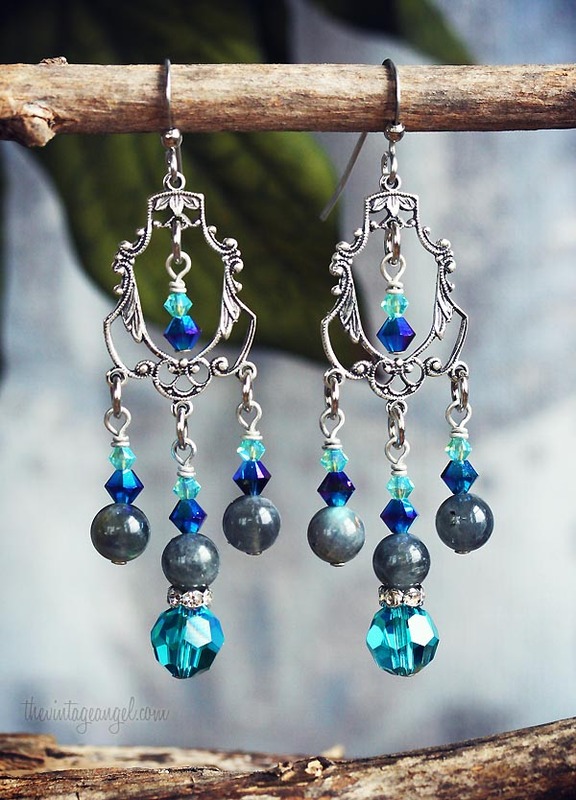 Such enchanting chandelier earrings that feature delicate antiqued silver focals that suspend an array of vibrant Swarovski crystal and authentic Labradorite beads. 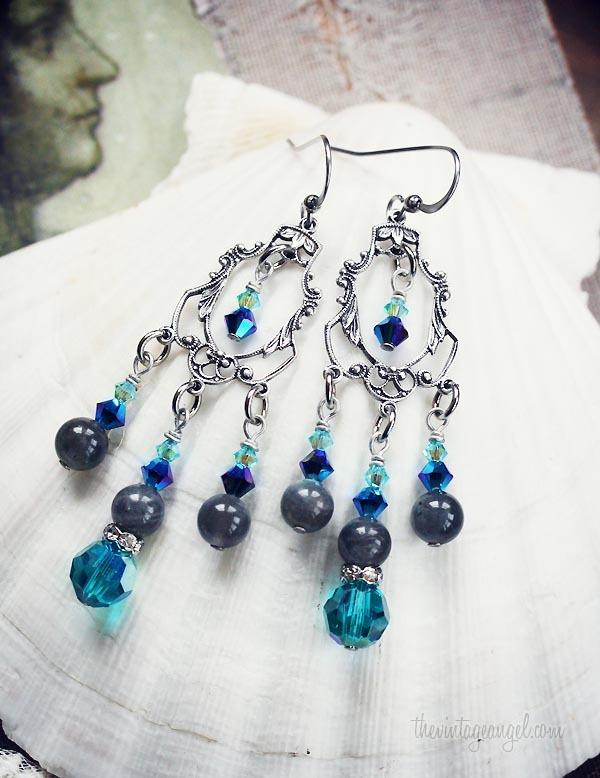 The mix of vibrant authentic gemstones and sparkling crystal beads creates such magic in shades of turquoise, earthy grey and rich blue. About 2.75 inches long and hung from surgical steel French wire hooks. Leverback hooks made from surgical steel with stampings made of lead and nickel free antiqued silver plated brass, includes rubber stoppers. About 2.75 inches long including hooks.